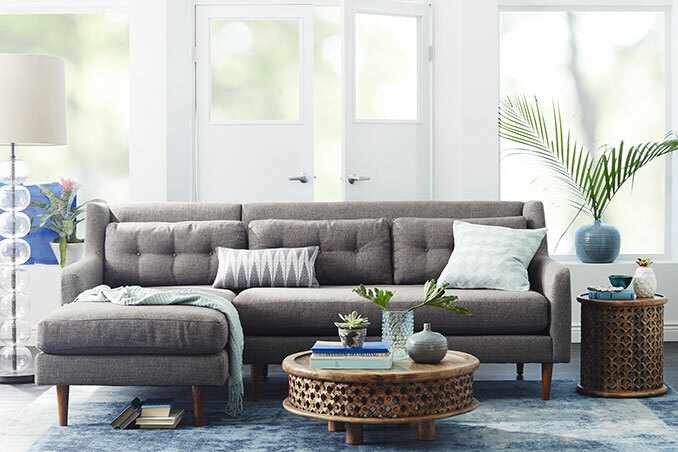 Mixing clean lines, natural materials, and handcrafted collections from the US and around the world, West Elm creates unique and affordable designs for modern living. The brand recently opened its doors to the Philippine market with the opening of their first retail store in Estancia Mall at Capitol Commons. “Were excited to open our doors and introduce our full breadth of products to the Philippines where there is a tremendous appetite for well-designed, finely crafted home goods and furnishings,” said Jim Brett, President of West Elm. The 7,000 sq. ft. store showcases the brand’s summer collection which includes furniture, bedding, bathroom accessories, rugs, window textiles and hardware, lighting, decorative accessories, dining, kitchen products, and gifts. They also offer services at Design Lab – a center of creativity and inspiration where customers can partner with design specialists on complimentary consultations and space planning sessions. West Elm Philippines is open Monday to Thursday from 11am to 9pm, and Friday to Sunday from 10am to 10pm. Visit them at the Ground Floor, South Wing, Estancia Mall, Capitol Commons, Shaw Boulevard, Pasig City. For updates, follow them on Facebook and Instagram.